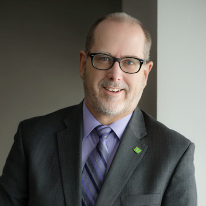 As a Wealth Advisor with TD Private Wealth Management, I work with an exceptional team of Wealth professionals including Portfolio Managers, Investment Advisors and Private Bankers. Together we assist high net-worth families in achieving their financial goals and dreams. The cornerstone of my approach is investing time focusing on the four wealth pillars: building net worth, implementing tax-effective strategies, protecting what matters and leaving a legacy. This approach allows me to prepare a personalized Wealth Strategy, which may include complex credit, estate & high net worth planning, investment management and other sophisticated financial solutions. As an Accountant, Financial Planner and Certified Executor Advisor with over 35 years of retail banking and Wealth Management experience, I bring a vast breadth of experience to every client interaction. I hold a Bachelor of Commerce - Financial Services Major from the University of Nipissing and am a Fellow of the Canadian Securities Institute, Chartered Strategic Wealth Planner. and recently completed the Canadian Institute of Certified Executor Advisors designation. I am active in the London and area community as well as participating in charity projects in India and Peru. My wife Janis and I have three children and in our spare time enjoy a variety of outdoor sports.